Most knitting charts come as rectangles but shawl shapes vary. 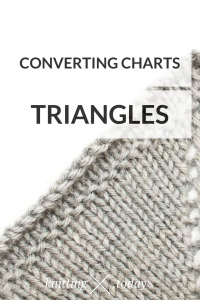 Today I show you how converting charts for triangle shawls works, and share my knowledge about how to make triangle charts work with you. Let’s have a look at an example. 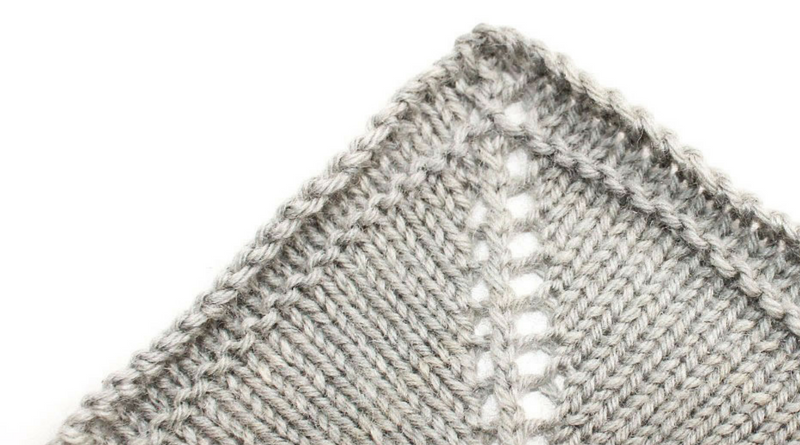 Assume we found a lovely stitch pattern in rectangle shape but want to design a triangle shawl with increases on both sides: two stitches every other row (like most triangle side panels are constructed). The chart we’d like to use is the one shown below. The example chart we want to use for a triangle shawl. As you can see, it is a rectangle, not a triangle – we need to adapt this stitch pattern to a triangle shape. Row 1 (RS): k1, YO, k to last st, YO, k1. For the pattern outlined above the drawing canvas looks like the following picture. The drawing canvas for a triangle with symmetrical increases (two stitches every other row). Now let’s try to fill our canvas with our chosen stitch pattern. First of all, we copy one pattern repeat (the section outlined in black) into the drawing canvas as shown below. Adapting Stitch Patterns: Insert one pattern repeat in the drawing canvas first. So now what? There’s a lot of white space around our lace pattern. It would look much nicer if there were some pattern stitches too, wouldn’t it? Let’s fill them according to the pattern. Fill the empty space left and right of your pattern according to the pattern used. If you have a close look at the chart above you will notice the unpaired central double decrease (cdd) in row 15, column 11. This chart won’t work – only in a repeat, but not alone! The solution is to introduce a setup section as shown below: now the yarn overs in row 15, columns 12 and 20 are paired properly. This chart is a working setup section for our chosen stitch pattern and shawl shape. But how to continue after the setup section? What we need is a chart for the rest of our triangle shawl, too! This chart for the rest of the shawl consists of three parts: the center part (repeated section), a left and a right side. These sides account for orphaned yarn overs we need to avoid (the example above with the unpaired cdd is such an orphan). The resulting chart is shown below: the center section (outlined in black) is repeated, the side parts account for our triangle shaping. You might notice the fact that our repeated section is 10 x 10 stitches and the total increases per repeat is 20 stitches (the yarn overs on both sides sum up to 20). Triangle charts like these work because every repeat creates enough stitches on both sides to fit in another center repeat (the section outlined in black). To make triangle charts work, your pattern repeats must be as wide as the number of increases per repeat. If this rule is not followed you will either have too few stitches to fit in a complete repeat on the sides or create additional stitches (if your increase rate is higher) you need to find a solution for. My rule: two increases every other row need square charts (10 x 10, 20 x 20, 13 x 13, …) if only right side rows are charted, and the double amount of rows if every row is charted (10 x 20, 20 x 40, …). Please have a look at the pictures above to verify this rule for the charts shown in this article. Now go and try it for yourself – grab some paper and a pen and convert a rectangular chart of your choice into a triangle one, and let me know how it goes by leaving a comment below! Thank you for sharing this information on charting triangle shawl shape. This information was very helpful for me to understand. 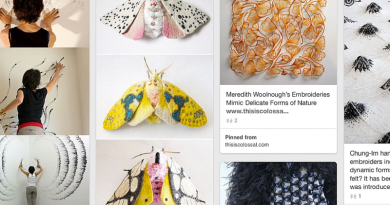 I have your Basic shawl design book, but there is nothing about charting lace pattern for triangle shawls…. Try the “Shaping Lace” book for this purpose, or my free article series here on this blog about lace and charted shawl design. 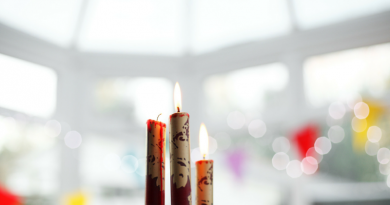 Regarding your question start with a written pattern (if any?) and work out the chart from there.